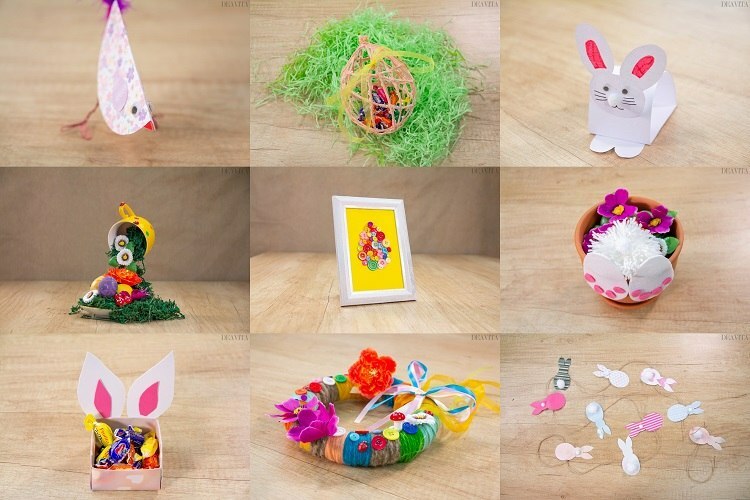 We have selected 10 Easter craft ideas for you. 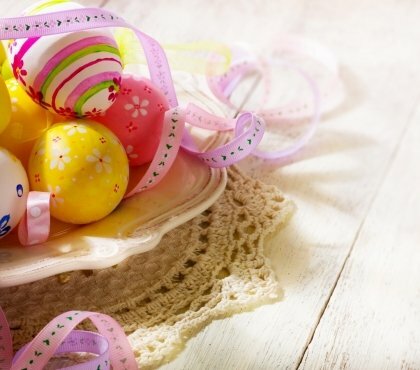 Easter decoration and sweet gifts will add to the festive mood in your home. 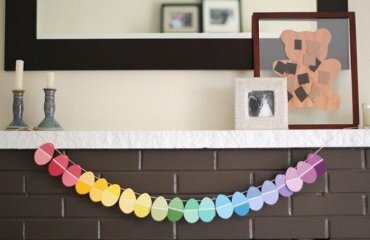 Surprise the family with a beautiful door wreath, decorate the nursery with a brightly colored banner, the living area with an Easter egg made of buttons or make a flying cup with the children. By the way, homemade items can also be given away. 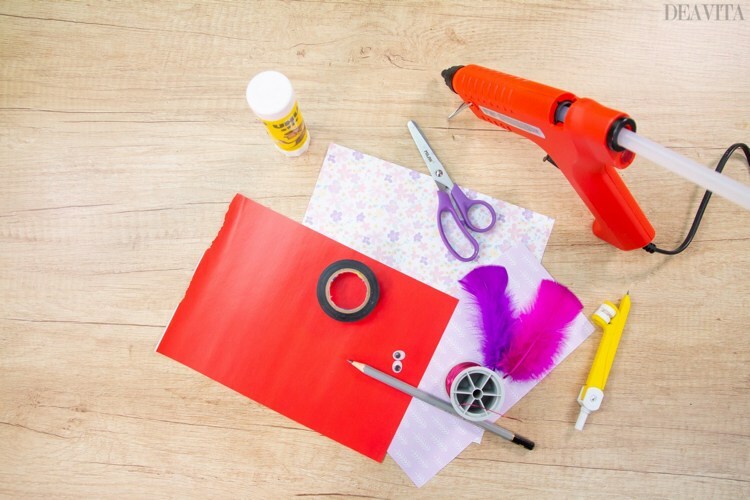 In the article you will find several crafting instructions for small presents and gift wrapping. 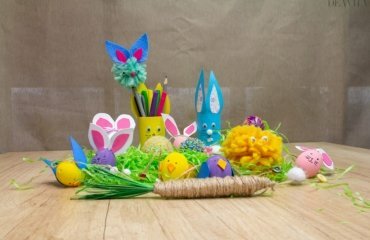 Easter craft ideas can be real fun. 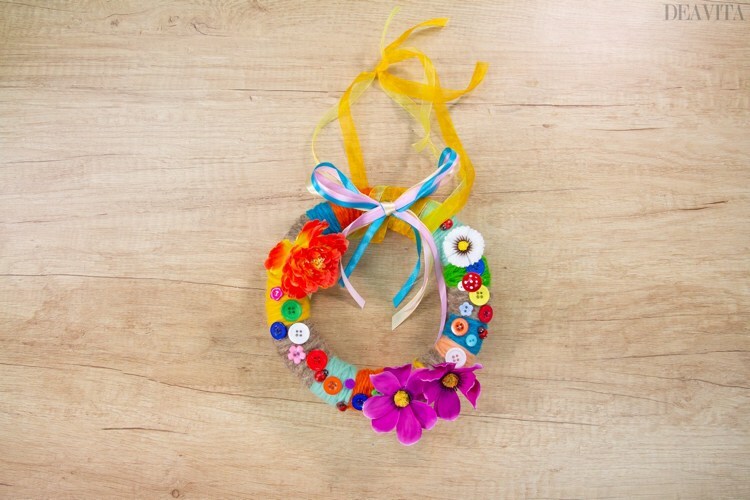 A colorful door wreath makes the house entrance welcoming and inviting. We offer you an idea for a long-lasting decoration. 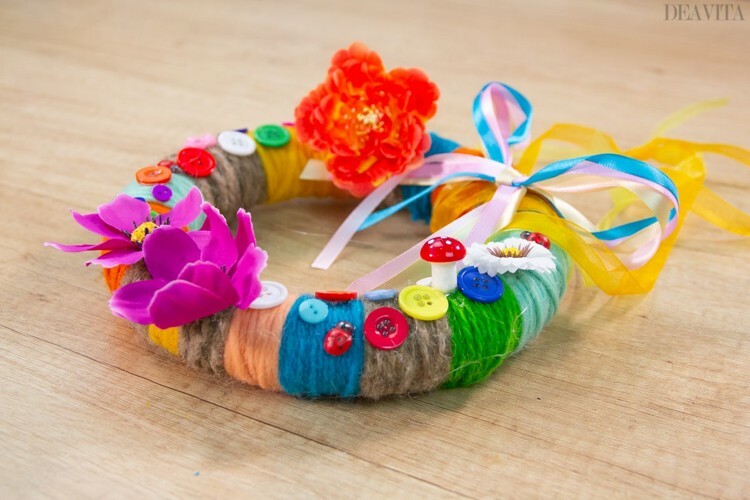 Our wreath is made of wool yarn and decorated with fabric flowers, satin ribbons, buttons and mushrooms made of wood. 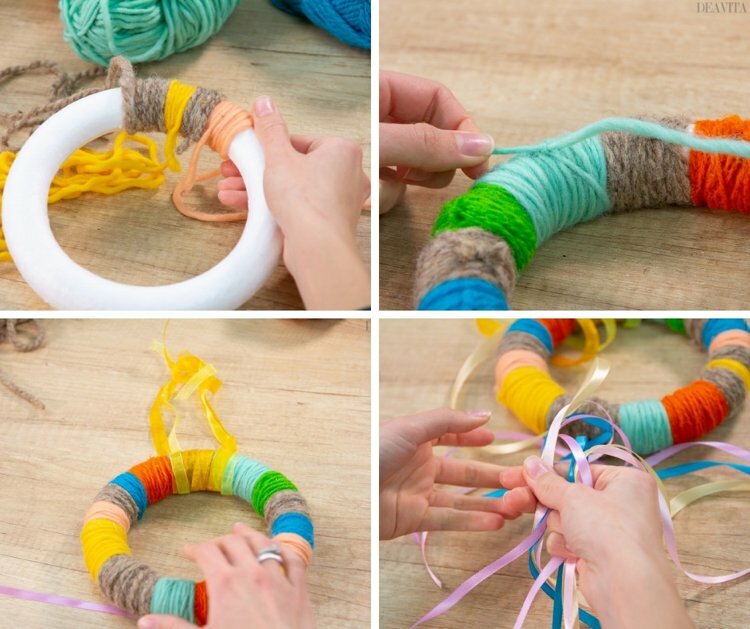 Wrap the yarn around the styrofoam wreath base. Cut the satin ribbons into 40 cm long strips. 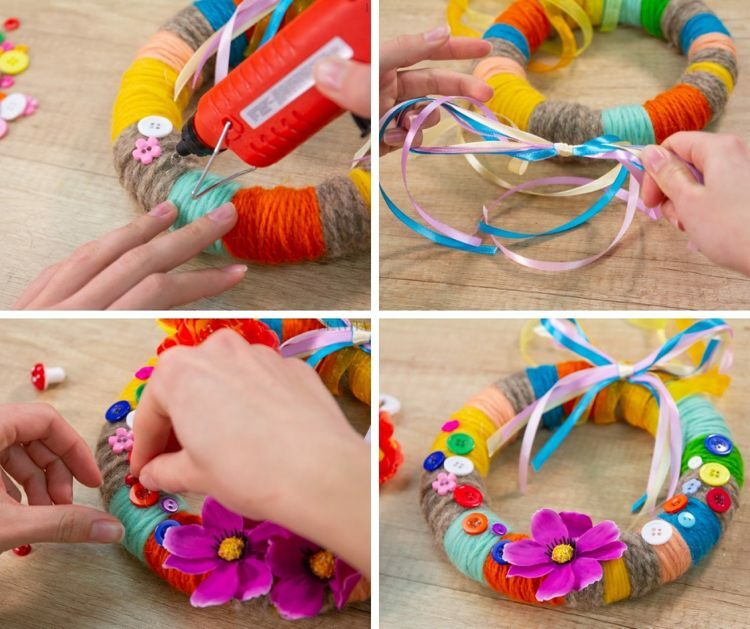 Tie the ribbons into bows and attach them to the wreath with the hot glue gun. Leave the finished wreath aside and let it dry. On the next day decorate it with buttons, fabric flowers and small decorative figures. For example, mushrooms and ladybugs made of wood are great. Typically, nursery rooms are decorated in soft pastel nuances such as pink and sky blue. 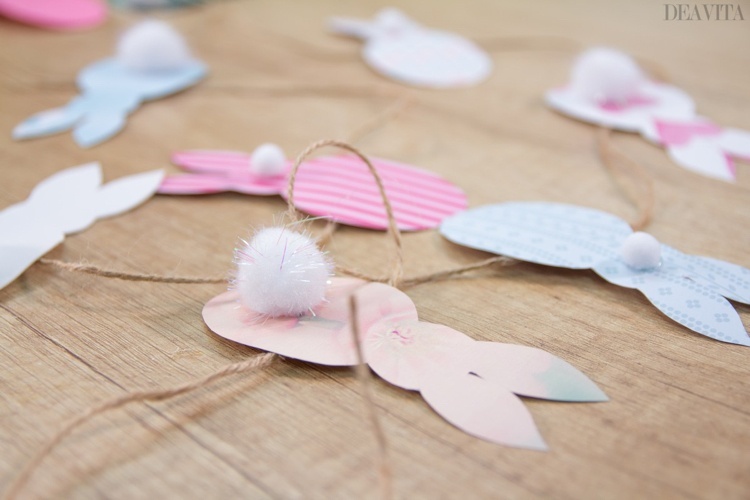 In the next craft project, we will show you how to add a festive Easter mood with a sweet bunny garland. 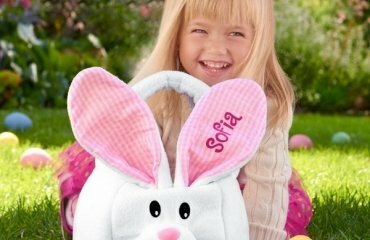 The cute Easter Bunny silhouettes will be a great joy to your little children! 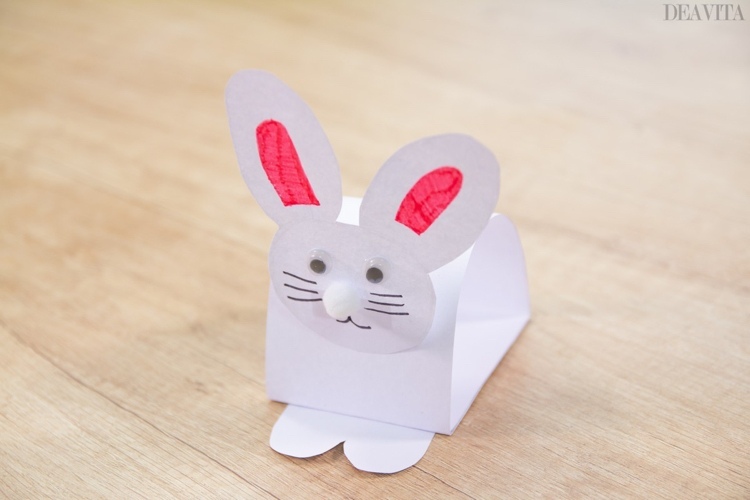 Print out a template for the Easter Bunny. 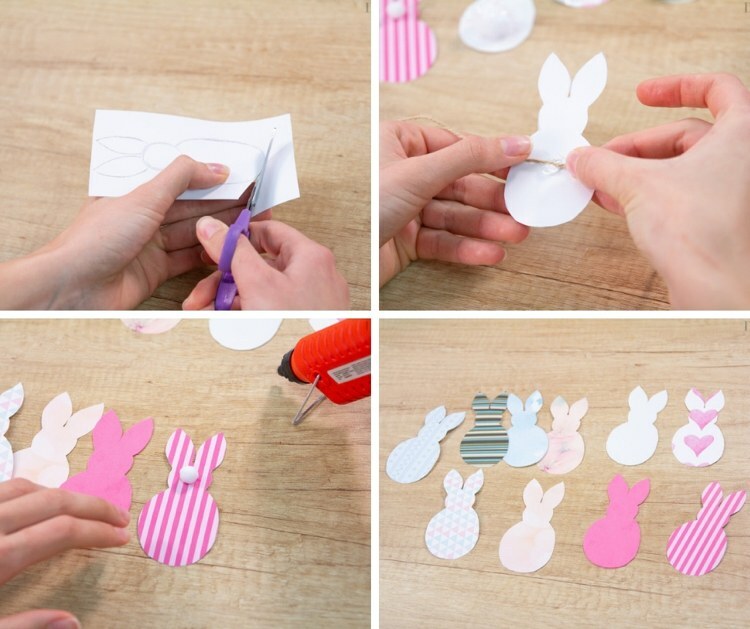 Transfer and cut out nine bunny silhouette on design paper. Attach the small pompons as a nose to the bunny head and glue the other four medium-sized pompons as tails. 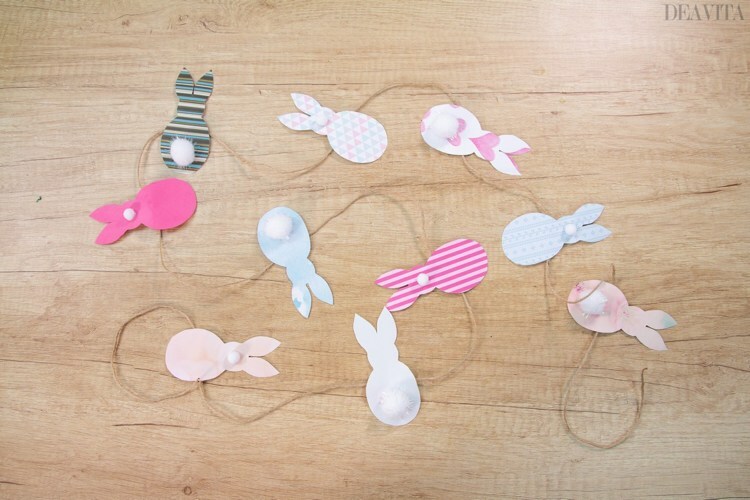 Thread the Easter bunny silhouettes onto a string or twine. This is one of the most space saving ideas. 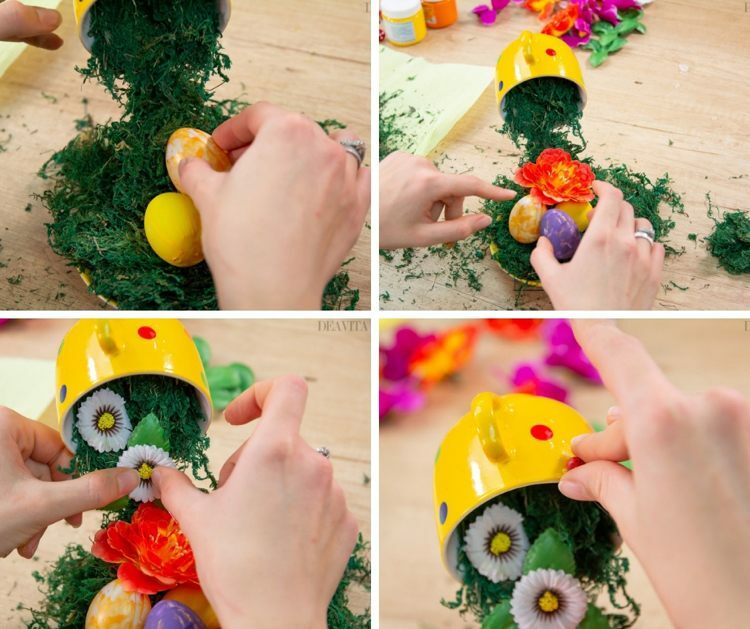 We will show you how to make a beautiful Easter egg from buttons. Cut a square out of yellow colored paper (it should be exactly as big as the photo frame). Draw an Easter egg in the middle. Glue buttons in different sizes inside the Easter egg shape. 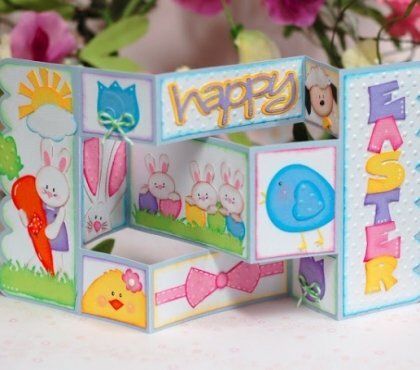 Showcase the finished Easter decoration in a stylish photo frame. This can be a great handmade Easter gift as well. 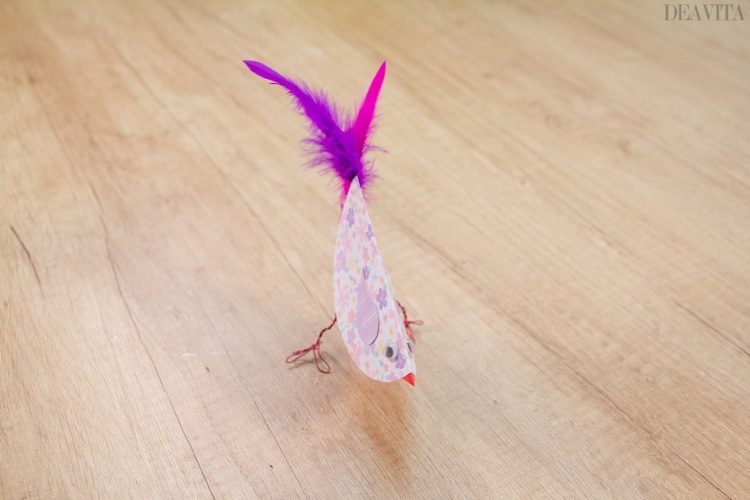 These cute chicks made of design paper also take up little space and are great mood-makers for the Easter table. 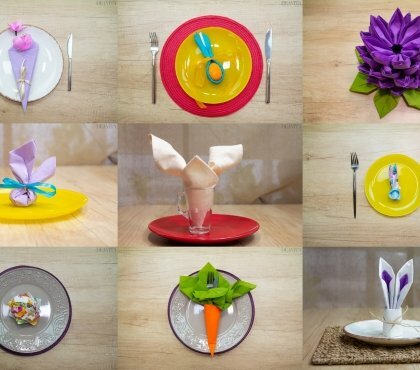 You can also use them as invitations for the Easter brunch. Draw a circle with a bow compass, cut it out and fold in the middle. 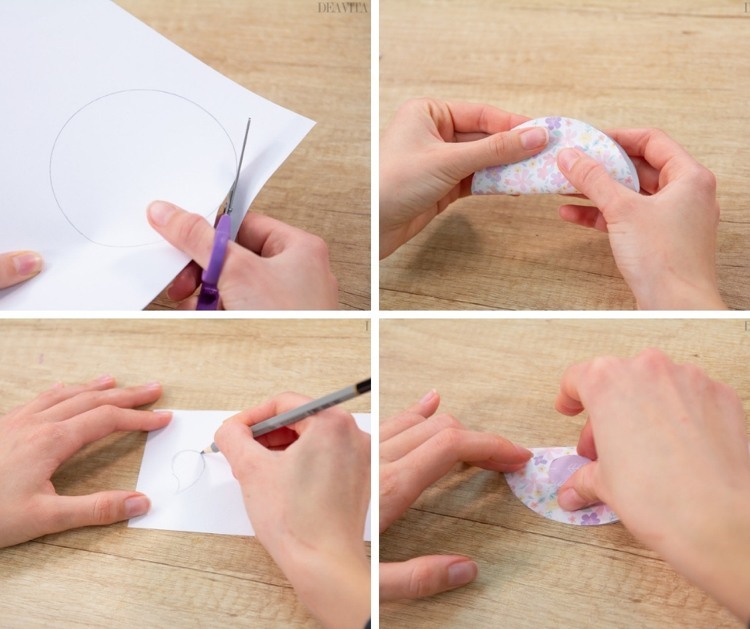 Draw a wing on another sheet of design paper, cut it out and glue it to the semicircle. 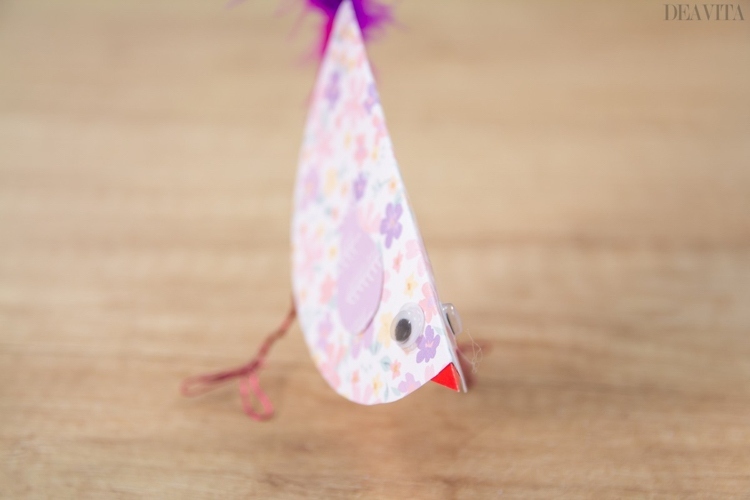 Cut a triangle from the red colored paper for the beak. 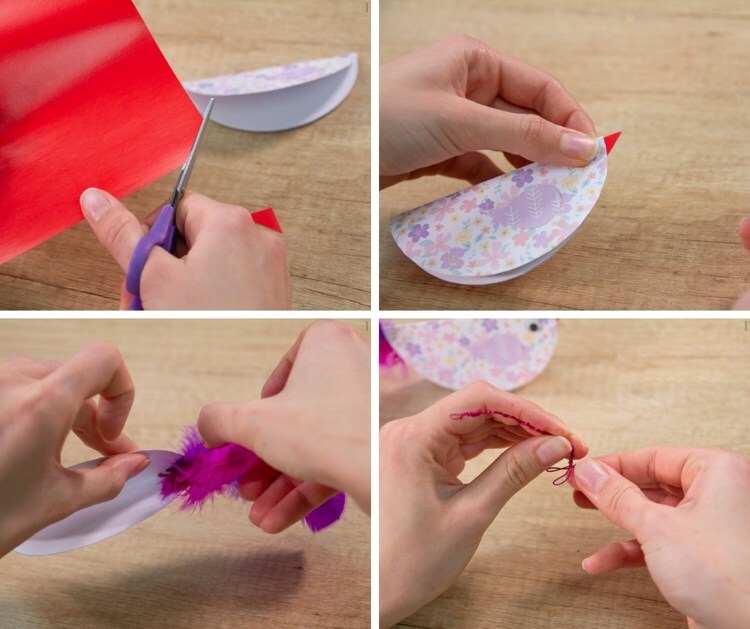 Make the bird’s feet from flower wire and fasten with the tape. Glue together two-three feathers for the bird’s tail and attach to the back. Floating cups offer numerous design options and are very popular. You can craft one and place it either in the garden or inside your house. Bend the fork with the pliers. Glue one end to the saucer and the other end to the cup. 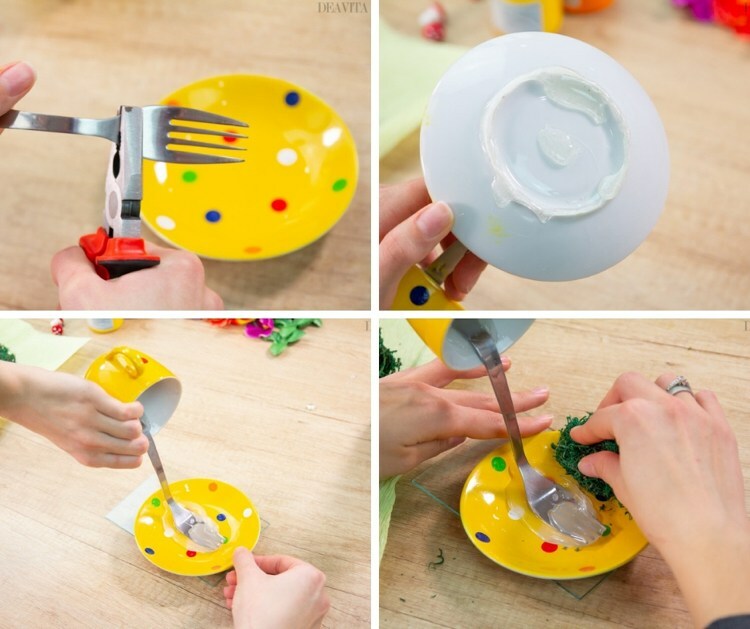 Glue the cup with craft glue on the saucer and let it dry. Once the construction is stable, you can start decorating. 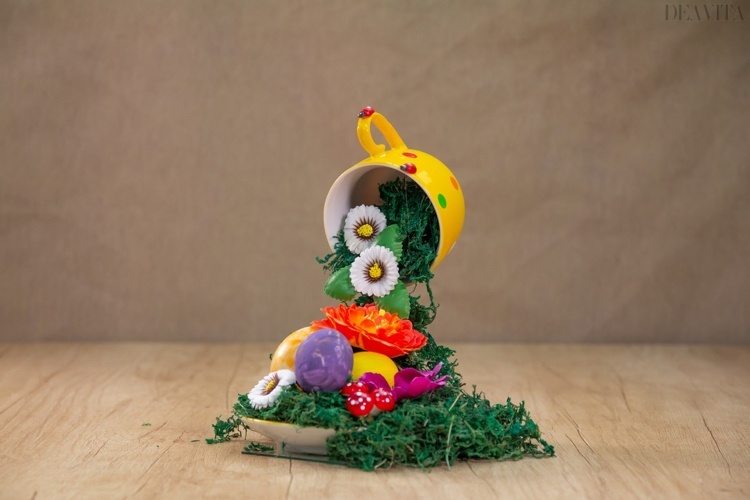 Cover the fork with artificial moss, arrange plastic Easter eggs and fabric flowers. Place smaller flowers in the cup. Decorate with decorative ladybugs made of wood. 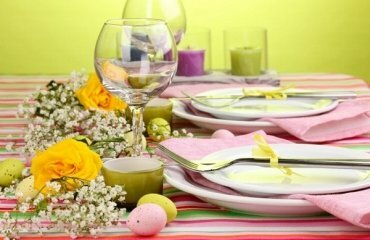 Welcome spring with a cute decoration in bright colors. 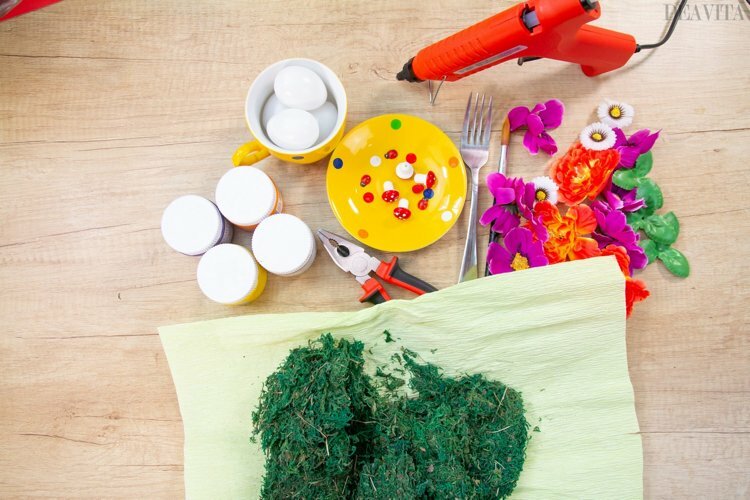 The next craft project leaves plenty of room for creativity and promises nice craft time for the whole family. 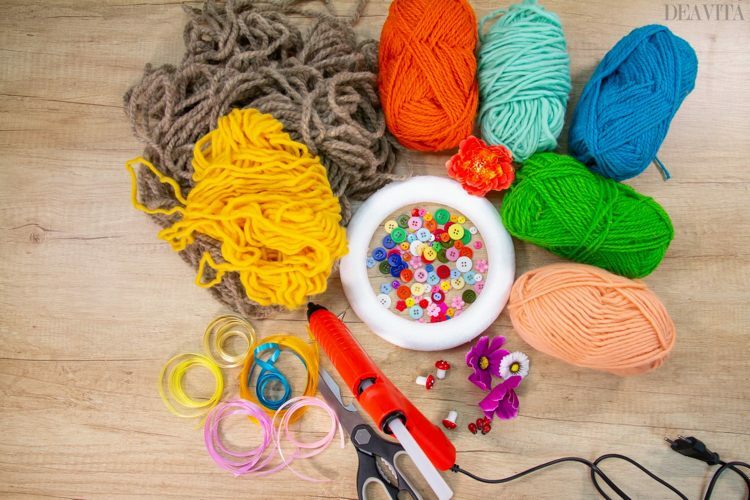 Wrap the yarn around your hand and tie it with a piece of thread in the middle. Cut the loops at both ends. 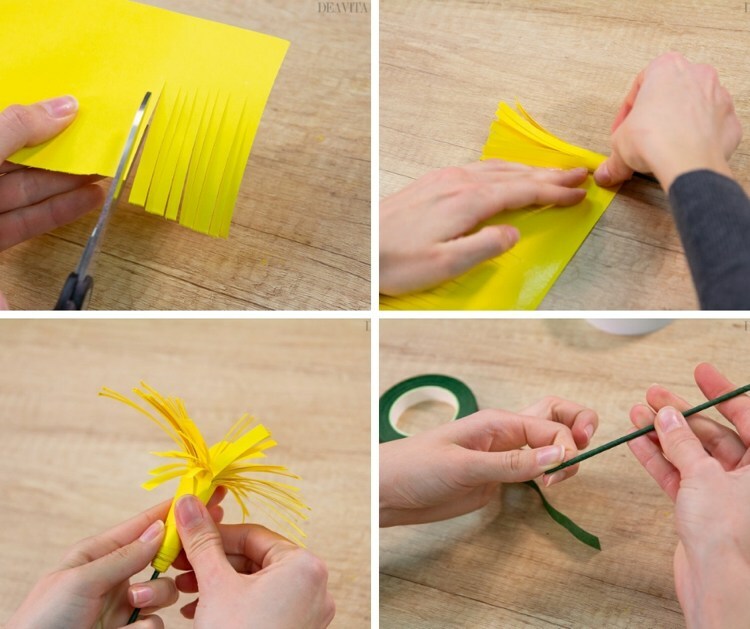 Cut the finished pompon with scissors. 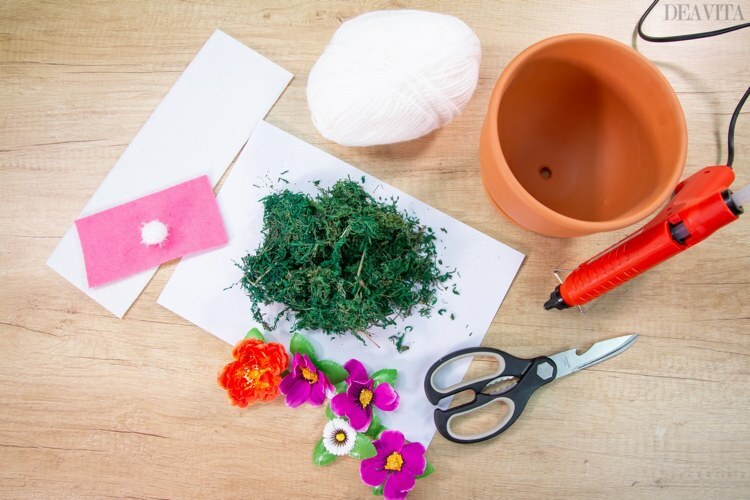 Decorate the flower pot with the artificial moss and the fabric flowers. Cut out Easter bunny paws out of the white felt. Cut four circles from the felt in pink and glue them on the paws. Attach the finished bunny paws to the flower pot with the hot glue gun. 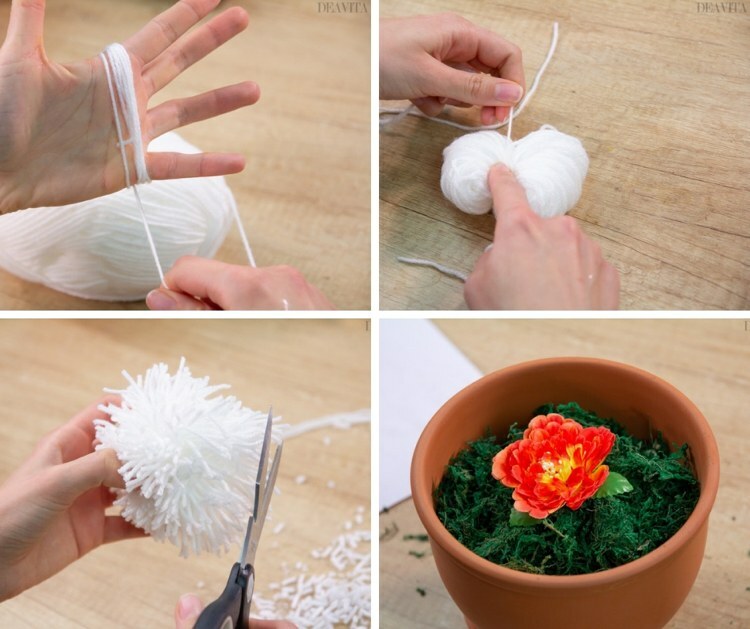 Place the large yarn pompom in the flower pot and decorate with the little pompom. 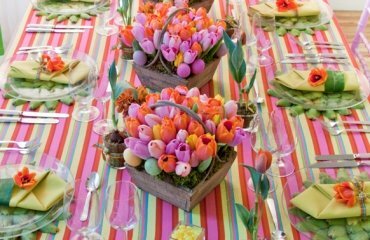 Paper flowers have a decorative effect and can be a colorful accent on the children’s table. 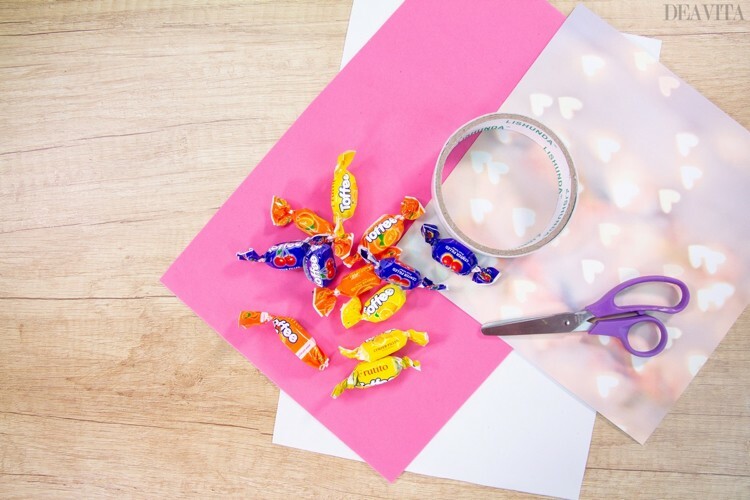 Origami flowers have been very popular in recent years, but they are usually elaborate and complicated and are suitable for more experienced craft enthusiasts. 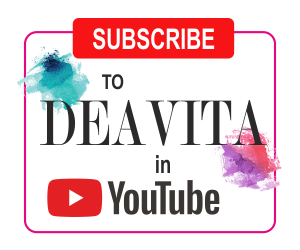 If you are looking for a kid-friendly alternative, you will find it here. 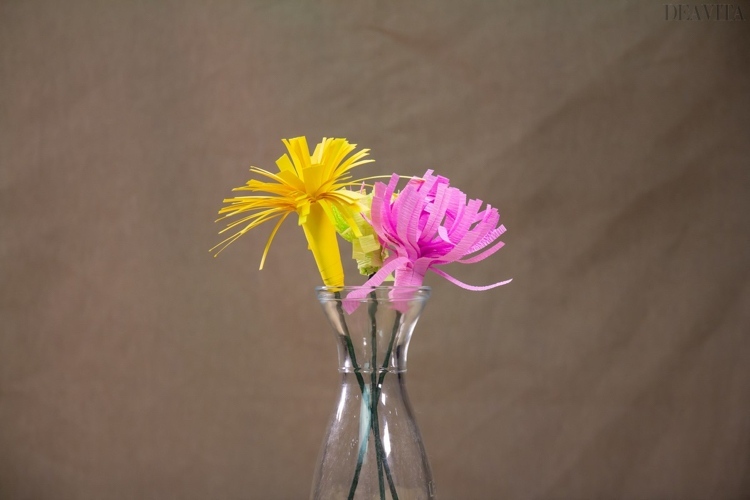 Colored paper, glue, a skewer and a pair of scissors – that’s all you need for our beautiful flower arrangement. 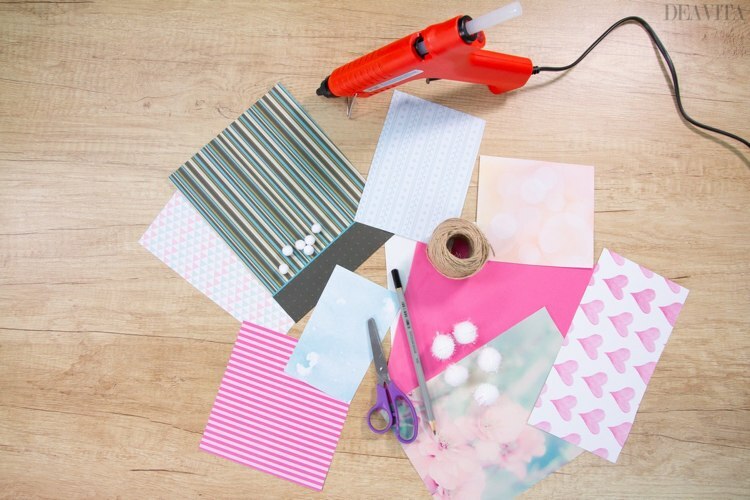 Cut narrow fringes into the paper. 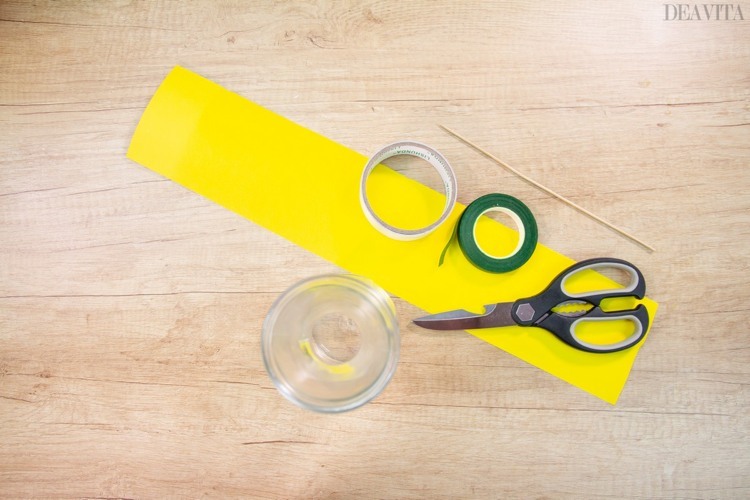 Do not completely cut through the crepe paper, but leave a narrow margin (3 cm). Wrap the skewer with the green floral tape. Attach the finished flower to one end of the skewer. 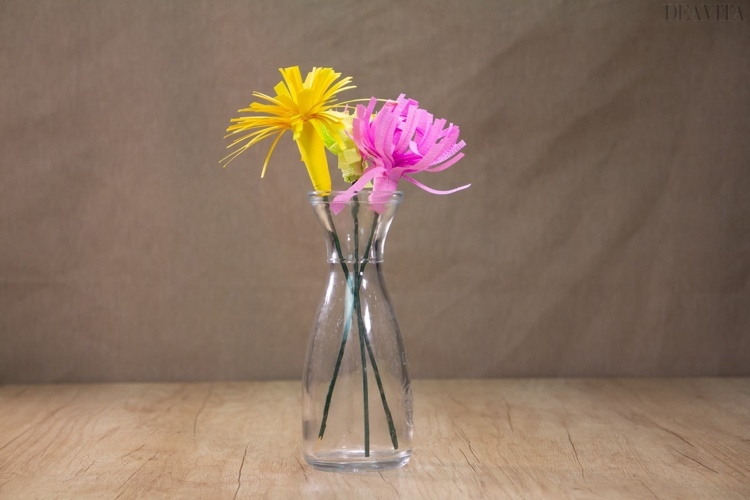 Arrange the finished flowers in a vase. 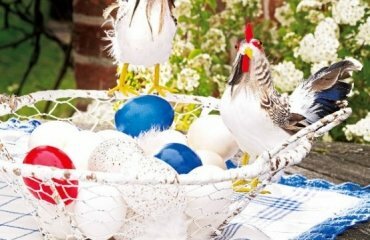 When Easter is around the corner, many people are looking for small gifts to surprise their family and friends. 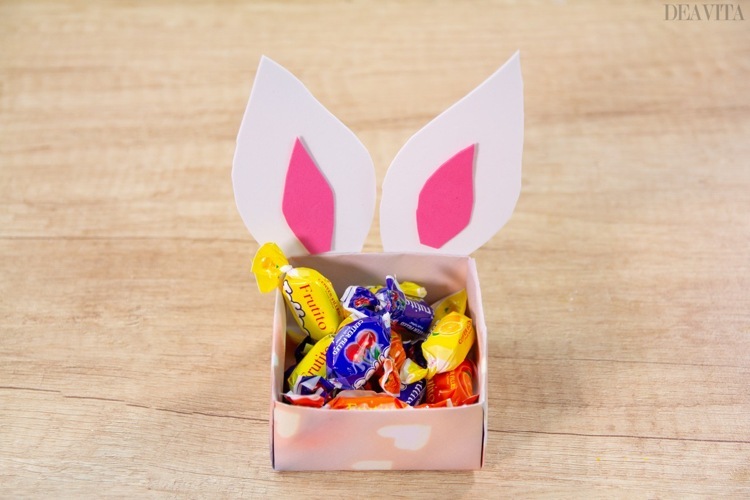 We offer you an idea for a candy box and children will be especially happy to receive one. 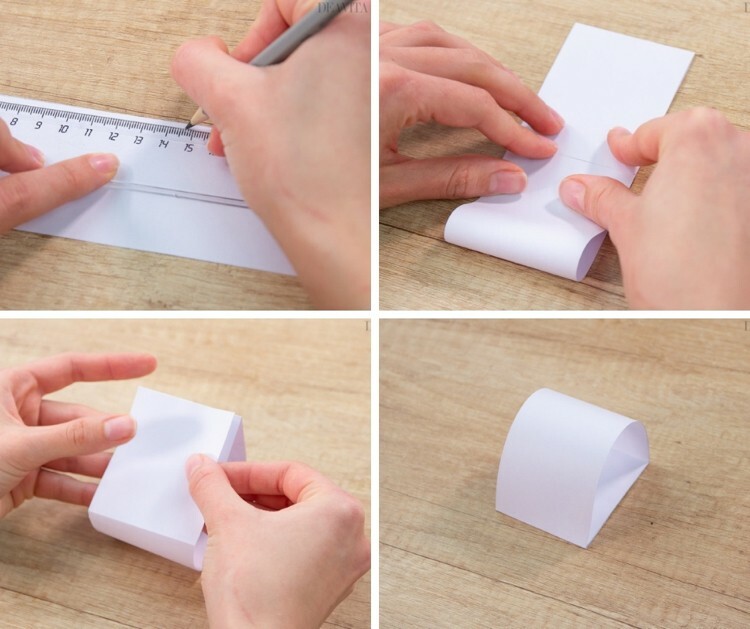 Place a sheet of design paper in front of you, with the white side facing up. Fold the corners of the sheet towards the center. 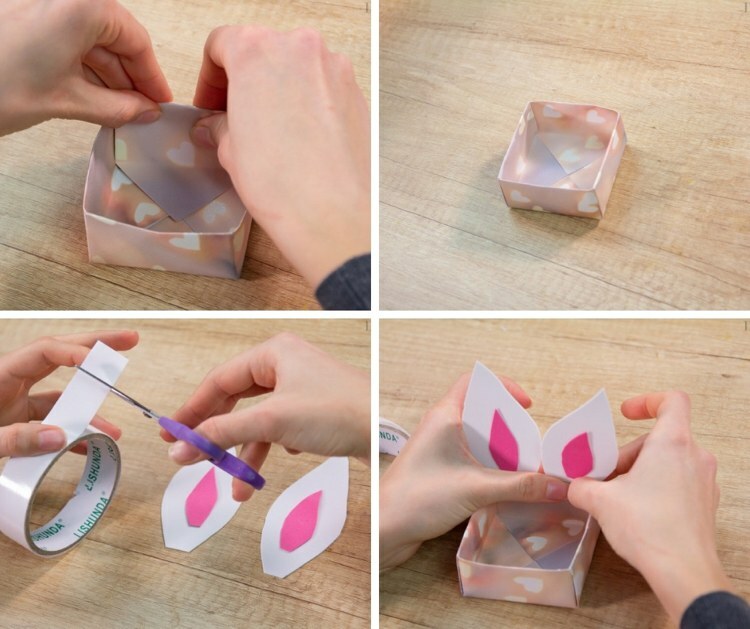 Fold the top and bottom edges towards the middle. Now fold back the edges and fold the right and left edges towards the middle. 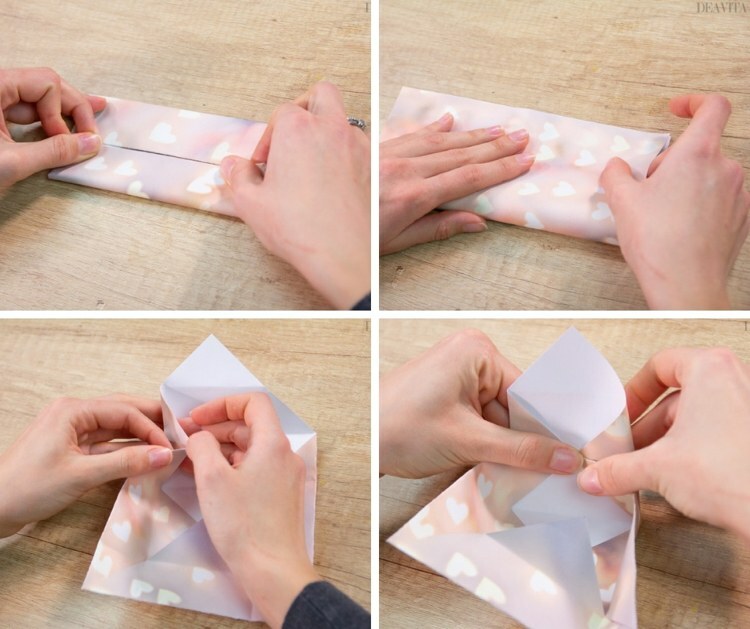 Unfold the lower and upper corners, press in the sides a little and fold up the two tips. 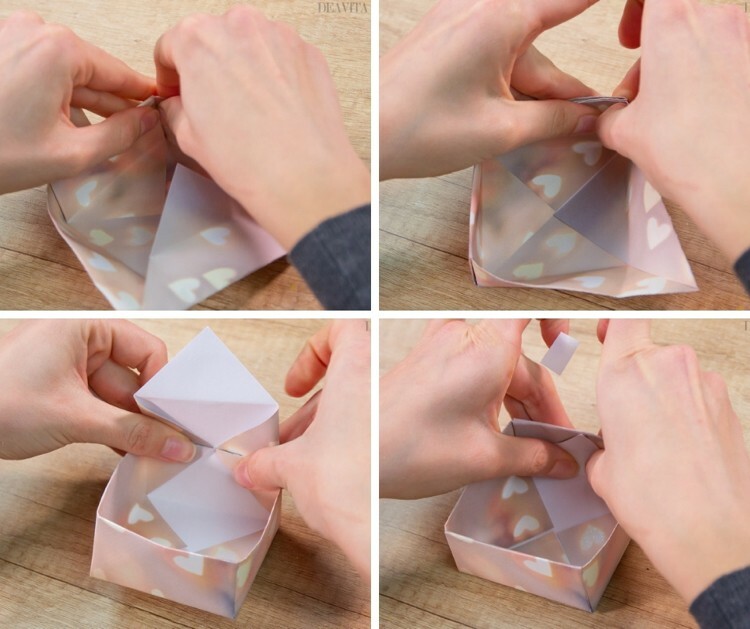 Fold the top and then the bottom tip into the box first. 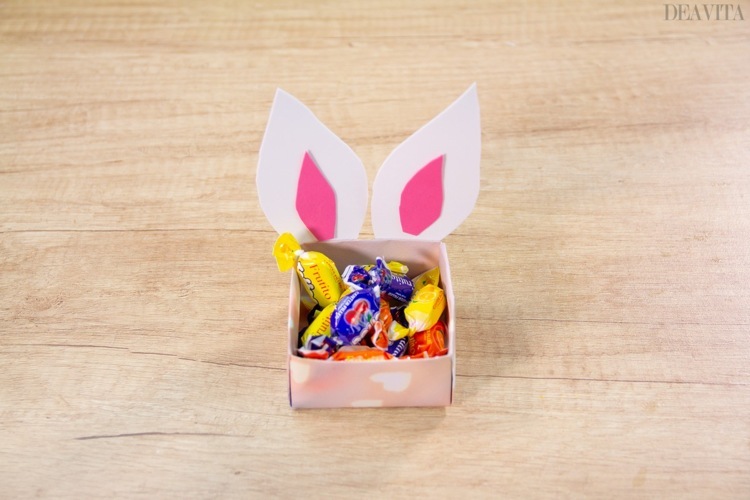 Cut bunny ears from paper and glue them on the box with the double-sided adhesive tape. Fill the box with sweets. 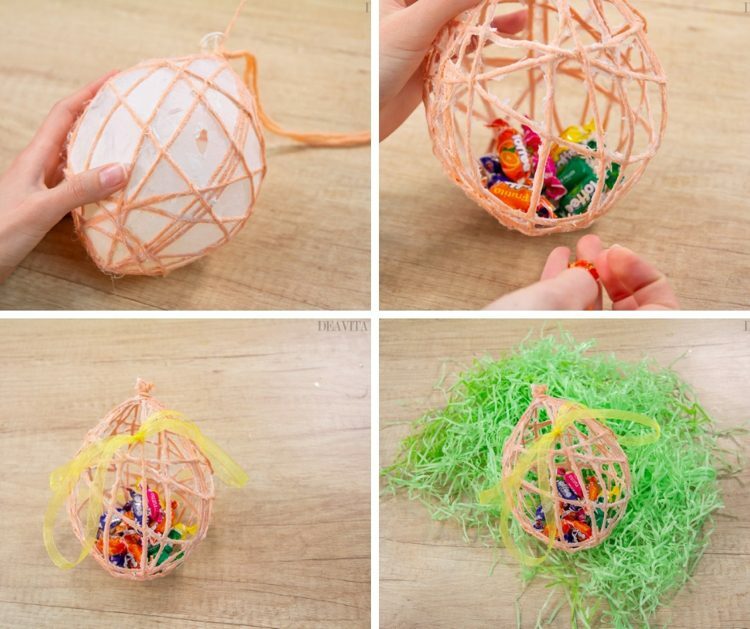 This craft project is for a string Easter egg. 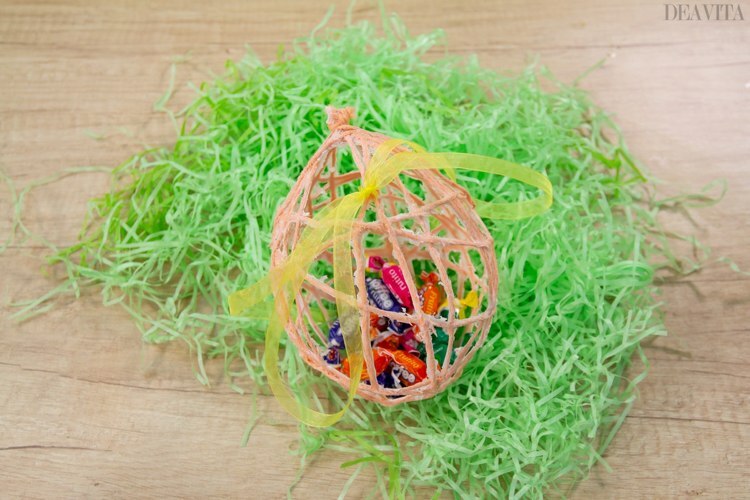 This egg can be used either as spring decoration or, if filled with candy, as a handmade Easter gift. 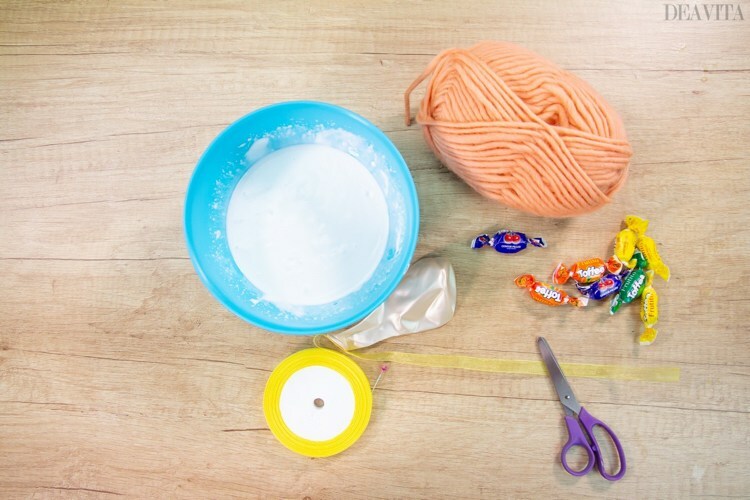 Pour some craft glue into a bowl and mix 3: 1 with water. 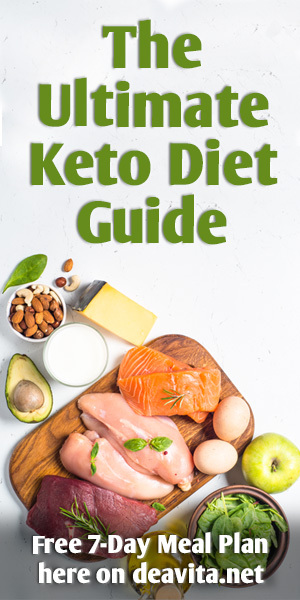 Stir well until the glue is completely dissolved and there are no lumps. Dip the wool in the glue. Inflate a balloon and wrap the wool around it. Let dry. 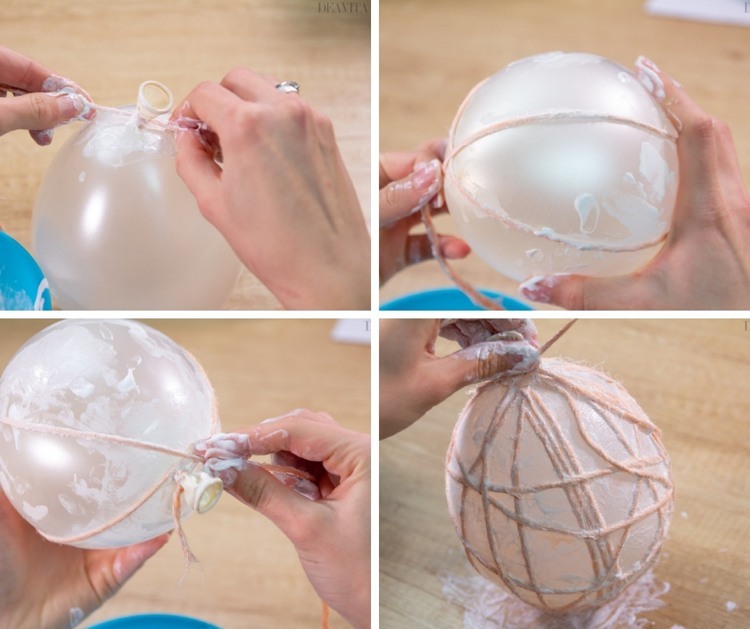 Cut the balloon with scissors and then carefully remove it from the sturdy shell. 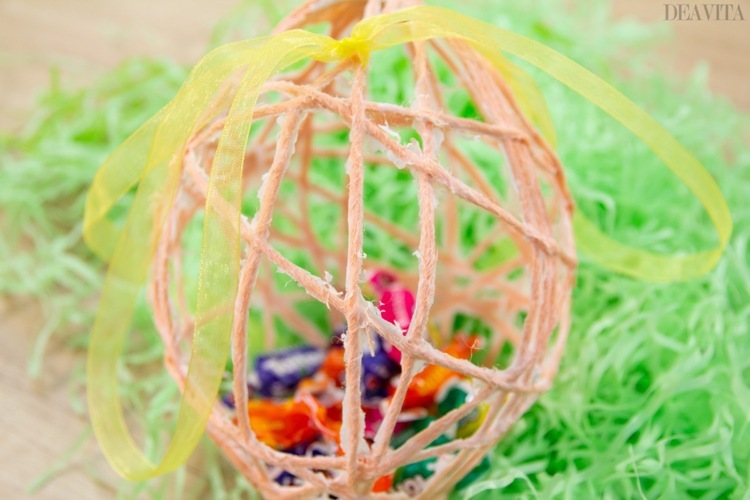 Decorate the finished yarn egg with satin ribbon and fill with sweets. Cut a rectangle measuring 29.7 cm x 6 cm. Cut the bunny paws and head out of the paper, draw the face and glue the wobbly eyes. 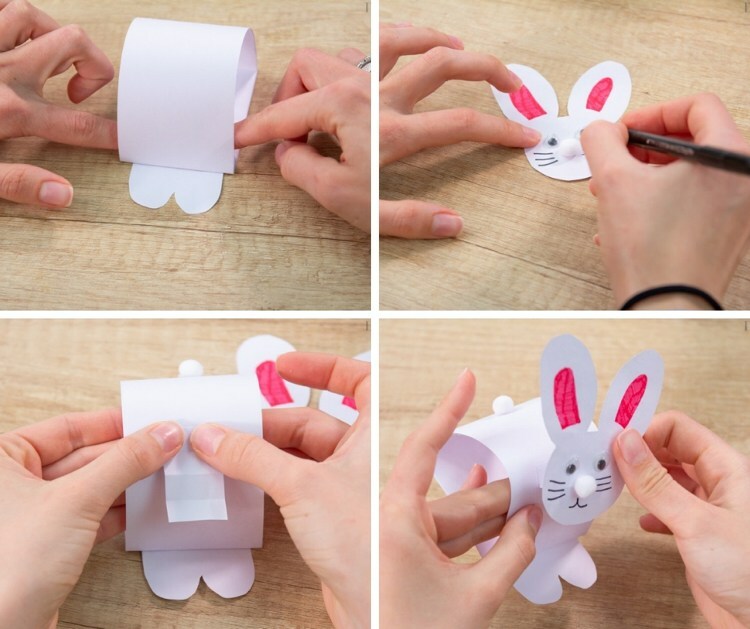 Fold the rectangle slightly and glue it to the bunny paws. 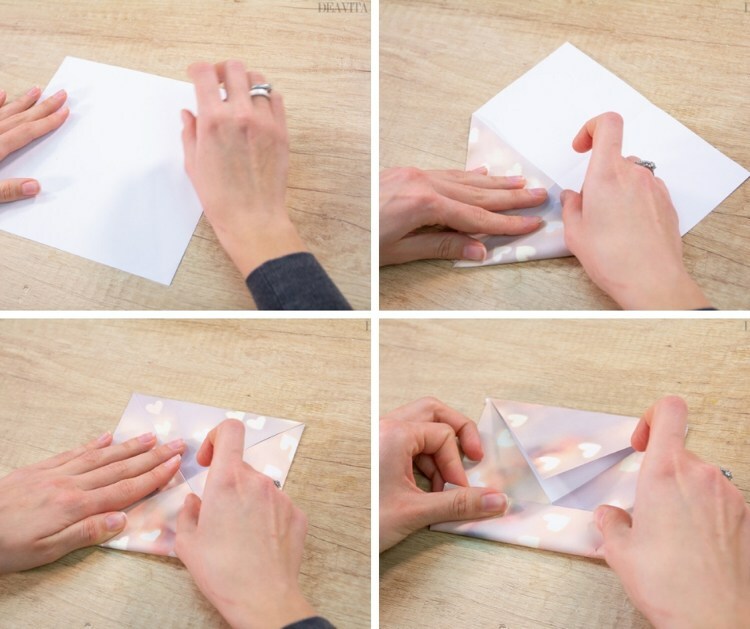 Cut out a small rectangle and fold it like harmonica. Glue one narrow side of the smaller rectangle to the body of the bunny. Attach the other narrow side to the head.